Firebase is a Google product, so in order to make a Firebase project you'll need a Google account. Once you have one of those, head to https://console.firebase.google.com. You should see a page that looks like the following screenshot. Go ahead and add a project, give it a name, and don't worry about any other settings. Once you finish up adding a project, you should see a nice success popup saying "Your new project is ready." At that point, click the "Continue" button. On the left-hand panel you should see a "Database" link—go there. 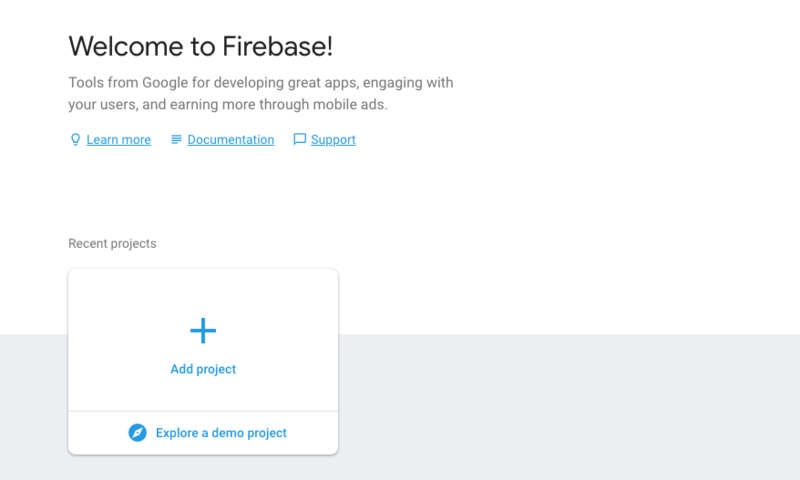 Once there you'll see a nice little page that has a bit of information on Firebase databases, but there should also be a button that says "Create database," which you'll want to click. 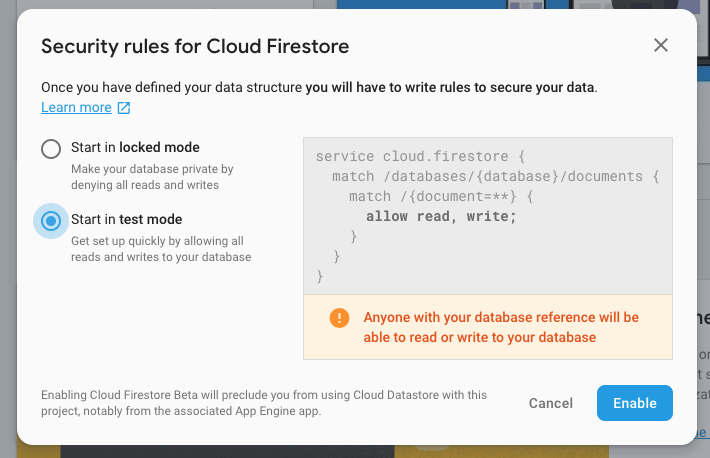 PLEASE NOTE: Make sure you start your database in "test mode" (unless you've worked Firebase before and know about permissions). This allows anyone to start creating and reading data from this project's database. Once you do that, click the "Enable" button. That's all it takes to create your database, but now you'll want to hit it from your application. I'm going to assume you're using the browser and have access to the fetch browser function. And then you can get all the items in your collection! From there you can see how to update items and delete them, or even filter items and order items in a collection! Hopefully this gives you a good starting point on working with the Firebase REST API.